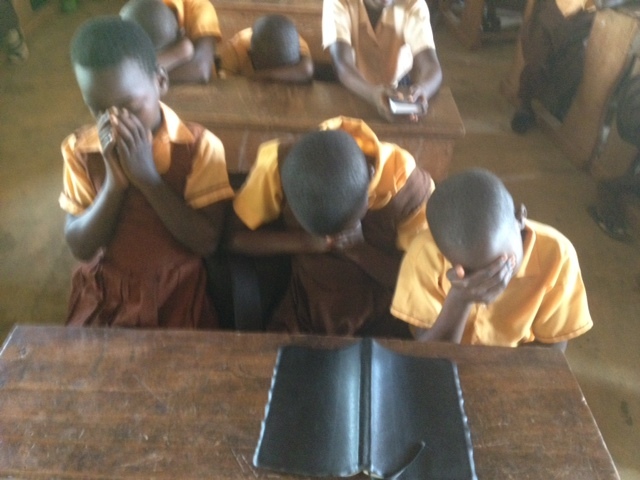 [Akuapem, Ghana] — Today has been our first full day of ministry. 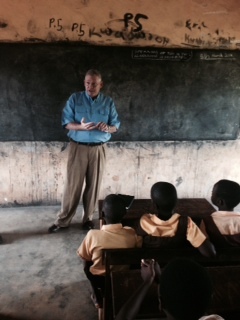 The day began with school ministry teams led by Jeff Andler and myself, while David Ney did a dental clinic. All-in- all, we have been able to share the Gospel with over 3,200 people. It is obvious in this area of the country there is a great deal of religious presence. All of our schools were either identified with Methodists, Presbyterians, or Assemblies of God. However, there has been virtually no Gospel penetration here. Many of the schools were disruptive and disrespectful to those in authority. Teachers were mostly ill mannered and undisciplined. There is everywhere a form of religion but oblivious of the Gospel of Jesus Christ. Monday has been a constant affirmation that religion and Christianity are diametrically opposed. Religion is based on man’s best efforts to “get to God” while Christianity is acceptance of the TRUTH that “God came to man.” Everywhere we look we see men striving toward God through rituals, routines, and reasoning — all of which are feeble efforts of a demonic delusion aimed at deceiving humanity. This ministry is fully committed to sharing the simple message of Jesus Christ with all who will hear. Please continue to pray for our team. Andy Poe, James McLean, and Craig Barker will set out this evening for their third night of Cinema crusades. Please pray for their safety and strength.